Release your best artes at once. 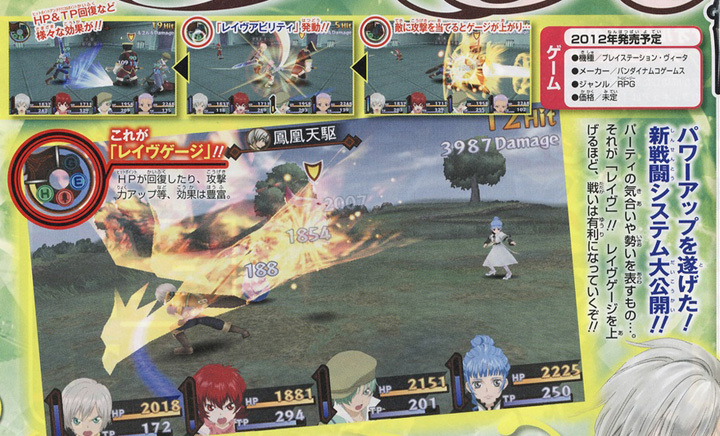 Tales of Innocence R will introduce a new element to combat not seen in the original Tales of Innocence. 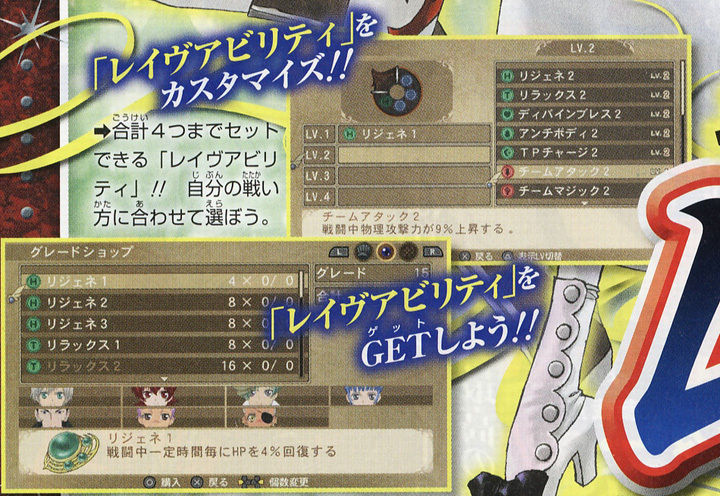 A “Rave Gauge” will allow you to fill in your favorite/most powerful arts and unleash them on your enemy all at once. This week’s Jump has the first look. The first scan gives us a look at the gauge in action. The second gives us a look at the menu screen, where you’ll fill in your artes.